Gardens, parks agricultural areas and plants are reduced sharply, especially in big cities such as Istanbul, due to expanding constructions and urban settlements although we still need oxygen to live and the agricultural products are still the basic needs of our kitchens. This reduction of green areas and growing air pollution are the important reasons of ruining quality of life due to increasing diseases desperately besides the aesthetic and architectural concerns. Citizens, civil platforms and academics, still spend their time and energy for more planting separately. As the awareness and interest to the organic life, perm culture and planting is growing within some parts of the community, we are asking whether it is possible or not to combine the energies and interests of different stakeholders who are working on this issue. 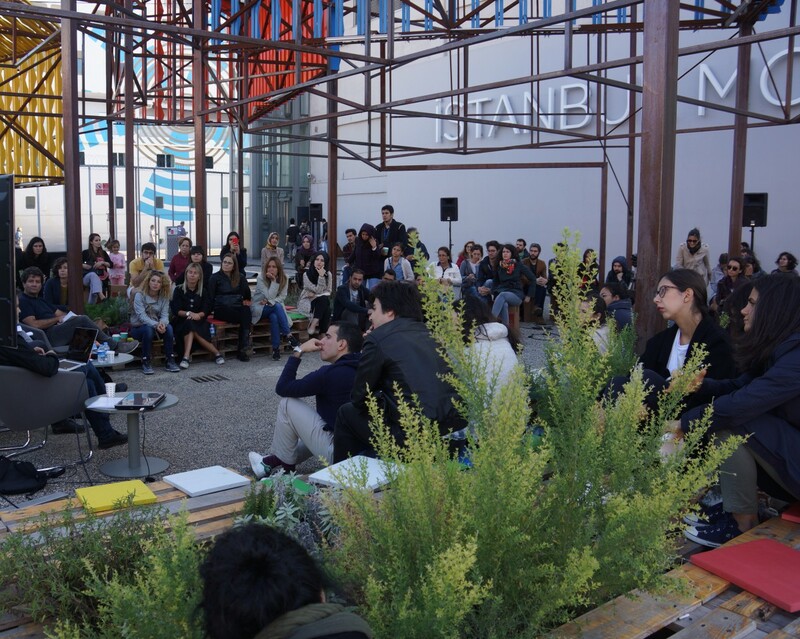 Through a panel of “Urban Planting as a Public Movement” we would like to gather the parties and search for the answer through a collaborative work for this common purpose. 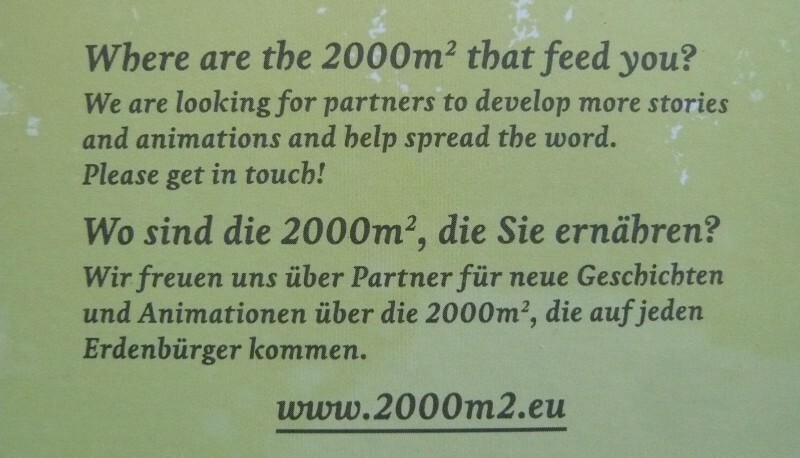 Thus it can likely be possible to take the steps all together to make this way of thinking common within the public to increase planting in the city and strengthen each other through engagement. Panel Hakkında Detaylı Bilgi almak için tıklayınız. “Kamusalı Yapmak / Public in the Making” Relais Culture Europe (Paris) tarafından yönetilen, 14 ülkeden 20 kurum ve 150’nin üzerinde bireyin doğrudan parçası olduğu, Horizon 2020 tarafından desteklenen “Trans-making: Art / Culture / Economy to Democratize Society. 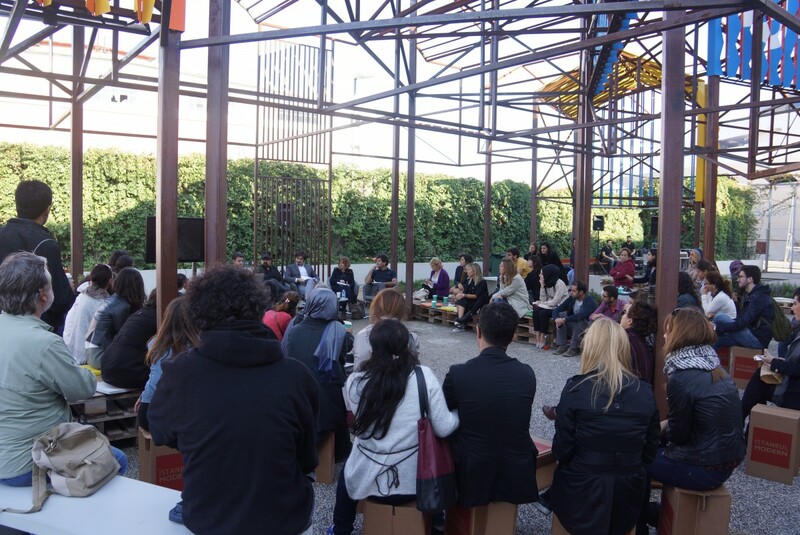 Research in Placemaking for Alternative Narratives” (https://trans-making.eu/) projesi kapsamında, projenin Türkiye ortakları İstanbul Teknik Üniversitesi ve İzmir Ekonomi Üniversitesi ve BİS tarafından AICA, İstanbul Bilgi Üniversitesi, PASAJ, Karşı Sanat, Mimar Sinan Güzel Sanatlar Üniversitesi, Europist işbirliğiyle düzenleniyor, amberPlatform tarafından koordine ediliyor. Bunlar İTÜ Taşkışla, Bilgi Üniversitesi sSntralistanbul Kampüsü, TAK (Tasarım Atölyesi Kadıköy), IDEA (Moda), Komşu Cafe Collective ve MSGSU Fındıklı Kampüsü. Etkinlik Hakkında Bilgi için Tıklayınız. 2017/06: Fare Magazine / The Seven Hundred Year Orchard /Kuzguncuk Bostan / City culture through food, history, and community. Before concrete roads and steam-powered ferries, a green belt lined the Bosphorus, and studded with quaint and colorful villages like Kuzguncuk, it was the rule of coastline life and not the exception. Since the mid-nineteenth century, linkage between the Bosphorus villages and their local megalopolis brought bustle, opportunity, and accessibility, but it also joined their fate to the sprawling mass before them. Many Bosphorus villages underwent major facelifts; transformations and “renewals” brought to their logical extreme through the sort of development schemes that entail wholesale demolition. The regrettable truth is that in present-day Istanbul, these historic villages face a real threat; some vanish completely. Kuzguncuk is an ancient site along the Asian shores of the Bosphorus. It is shaped by natural borders: the green grove of the Fethi Pasha Woods to the west, and the medieval Nakkaş Baba cemetery to the east. Nowadays it is valued for its two rare features: mahalle culture (the traditional intimate village life and social dynamics of old world Istanbul) and its bostan, or urban garden, a part of an ancient, vast, and highly self-sufficient urban agricultural system. Today Kuzguncuk’s bostan forms a sizable proportion of its total area, and doubles as a park, meeting space, and communal hub for the village. 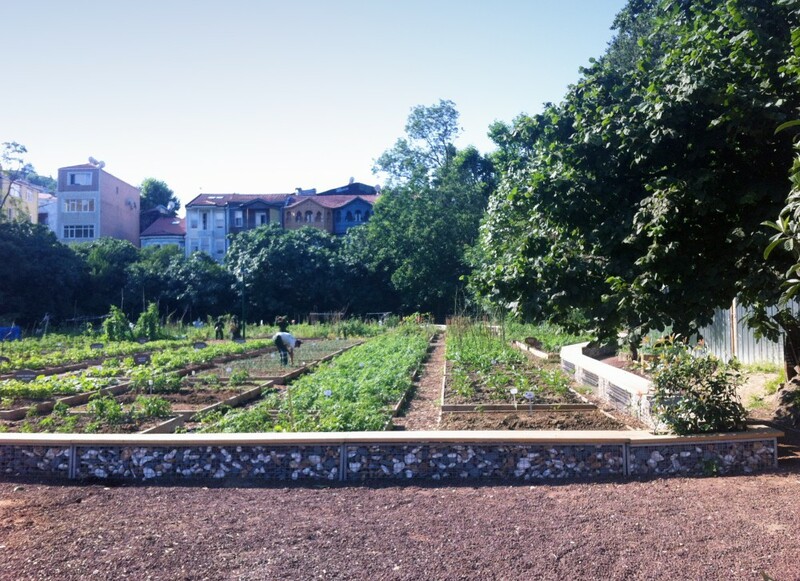 Amazingly, while many bostans across the city continue to vanish, Kuzguncuk’s garden thrives. I first visited Kuzguncuk’s bostan with a group of friends one winter morning under a deluge of cold rain. Our timing was poor to say the least, and we’d missed the bulk of the harvest by a month; at that point there were few signs of life in the garden besides the perennial black cabbage. That’s a sharp contrast to the warmer months, when the garden grows more than two-dozen crops including: chili peppers, tomatoes, corn, okra, aubergines, spinach, peas, carrots, and more. We expected the winter garden to be dreary, but the morning of our visit, we were greeted by a troop of school kids who turned a series of large puddles into a splash-park. When Kuzguncuk’s bostan sprang to life several centuries ago, it was one of several hundred urban gardens across the city. Medieval Istanbul made masterful use of its urban greenery through a manipulation of space and a keen understanding of the seasons. Its gardeners organized themselves into guilds, and a whole series of producers and suppliers existed to support the bostans—basket weavers, seed suppliers, and so on. For 700 years the city’s bostans had the incredible wherewithal to support half a million inhabitants with fresh vegetables. Neighbourhoods had specialty crops, like the fragrant strawberries of Arnavutköy, and the small, aromatic cucumbers of Cengelköy. Yedikule’s bostan, the city’s most ancient garden, which still hug the Theodosian Walls, used to produce a soft, almost buttery lettuce. These are the networks and relationships that lasted into the middle of the twentieth century. New regulations—such as a bill that forbade grazing of livestock— compounded stiff competition from vegetable producers in the Black Sea. These conditions made it extremely difficult to reach a living wage as a gardener. As a result, many if not most bostan owners have opted to sell their land over the last half-century, meaning that most of the city’s bostans have disappeared in the last half-century as owners prefer to sell their land. Many bostans have met particularly ignominious ends, like Arnavutköy, which disappeared under a car wash.
Locals call the Kuzguncuk bostan, “Ilya’s orchard,” citing the now-deceased but much-beloved Greek gardener, the last of an unbroken line to tend the garden’s fields. Greek communities have lived in Kuzguncuk for more than a thousand years: the village’s earliest structure, a Greek Orthodox Church, dates from the 800s. In the 1400s Greeks welcomed the settling of Sephardic Jews, and later Armenians in the 1700s. It wasn’t until the 1950s that a significant Muslim population, including many Turkish migrants from the Black Sea, moved to the village; before then, the few Turks who lived in Kuzguncuk were the Ottoman elite who built their magnificent wooden yalı along its shores. Nowadays the architecture reflects the neighborhood’s intimate and unassuming nature; an Armenian church and Turkish mosque stand close enough as to be practically conjoined, and historic residential areas feature wooden homes limited to just a few stories high, a stark contrast to the city’s concrete districts. Ilya was the last gardener of his family, but not their last descendant; ownership of the land slipped out of the family amidst rather dubious controversy. In 1964 the Turkish government revoked the right of its Greek populace to permanent residency and local authorities began to exploit this measure as a lucrative source of income generation by seizing properties on the grounds of abandonment. “Ilya’s orchard” was one such property apparently “abandoned” by his family after his death— and sold to a private bidder. The land was re-sold a few years later, this time to the local Üsküdar municipality, who planned to use most of the bostan’s land for a large primary school. Tülay Atabey and other local architects proposed to the municipality an alternative development plan for the bostan: they focused on repurposing it with a “right to use” rather than a “right to property”, and demonstrated how the bostan could host public events—festivals, outdoor movie screenings, and markets—involve both adults and kids, and, through the use of raised growing beds, even offer access to gardeners with disabilities as well. 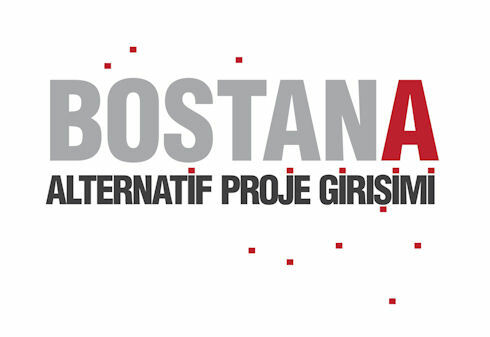 The local community mobilized to show support for the alternative bostan project across media channels and through festivals, workshops, and widespread demonstrations. Across the city, the bostan became a symbol for the larger battle against expansive urban renewals. Tan Morgül, another prominent member of this collective, ushered its rallying cry: “the Kuzguncuk Bostan is Kuzguncuk’s memory, its breath, its colour! Let’s not allow anyone to touch our history, our breath or our green!” The locals boast that the campaign was the most significant protest until Gezi Park in 2013. Üsküdar’s primary school plans were ultimately shelved, to great relief, in favor of the alternative bostan project. Now, since 2010, locals have been able to develop the land in ways that suit the community; also leading to a sharp rise in activity. There is now so much demand for the garden’s 100 allotments that they must be decided by annual lottery. 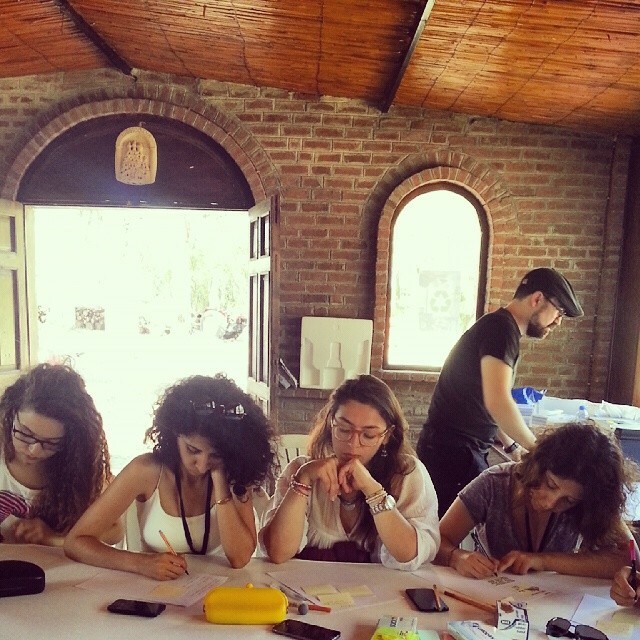 While my friends and I only saw the bostan in the winter, it was clear how it actively works for the community throughout the year: in the spring and summer evenings it hosts outdoor movie screenings and theater performances, and experts travel from different universities across Turkey to lead workshops. During the festive nights of Ramadan, locals break their fast together outdoors. In autumn, the neighbourhood communes to celebrate the harvest, teaching local kids about a range of produce. On the weekends, the streets spill out into a market bazaar. From the windows and balconies of nearby houses, the people of Kuzguncuk can hear nightingales sing into the early hours of morning. After leaving the bostan, we were toured down Kuzguncuk’s main street by locals Tülay Atabey, Boğaçhan Dündaralp, and Aylin Örnek. We were taken to a local café, Kuzguncuk Pita, owned by Aylin. Tea was quick to emerge, along with plates of different sweet and savory pastries from the home-style kitchen. A full range of soft sheep’s milk cheeses were stacked behind tall glass counters at the corner of the kitchen. Through the café’s wide windows it was hard to ignore how the hanging greens of the ambling trees, the settled and slow pace of passerby, coffee-drinkers, and cats alike lent this area a peace worlds’ apart from the speed and relative chaos of some of the city’s other neighbourhoods. This, I thought, was the beauty of Kuzguncuk, this unexpected bastion of village life. The best scenario for Kuzguncuks future is to increase the possibilities for sharing and to keep it alive – a scenario, which would highlight the importance and value of the orchard for Kuzguncuk. 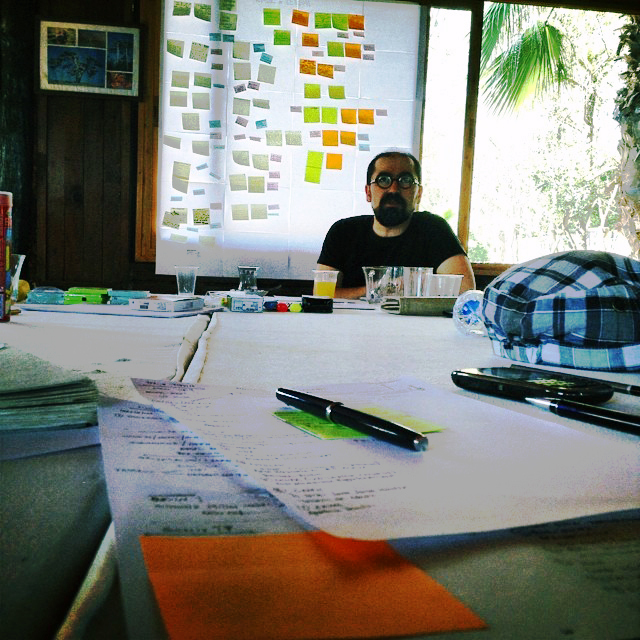 One of the most important contributions during this process, was the “Public Design Support Workshop” realized by Jesko Fezer and his students at the 1st Istanbul Design Biennial 2012. During this weeklong period, we experienced a cohesive and motivating project around a series of ad-hoc interventions that turned into a weekend event in the orchard. Simple arrangements like playgrounds (a football field, a grandstand, a swing, backgammon), tea garden and a picnic ground produced catalysing sensations that evocated curiosity. 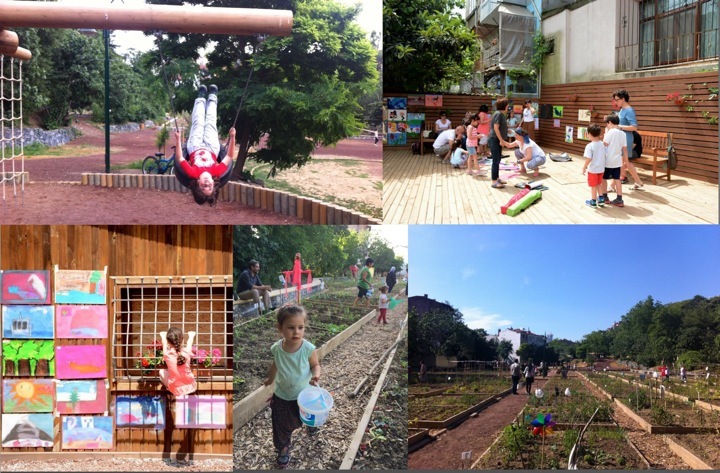 While Meric Kara from Bilgi University and the students at Kuzguncuk Primary School were directly involved in this event, local architects, Kuzguncuk residents and neighbourhood administrator (muhtar) provided support. 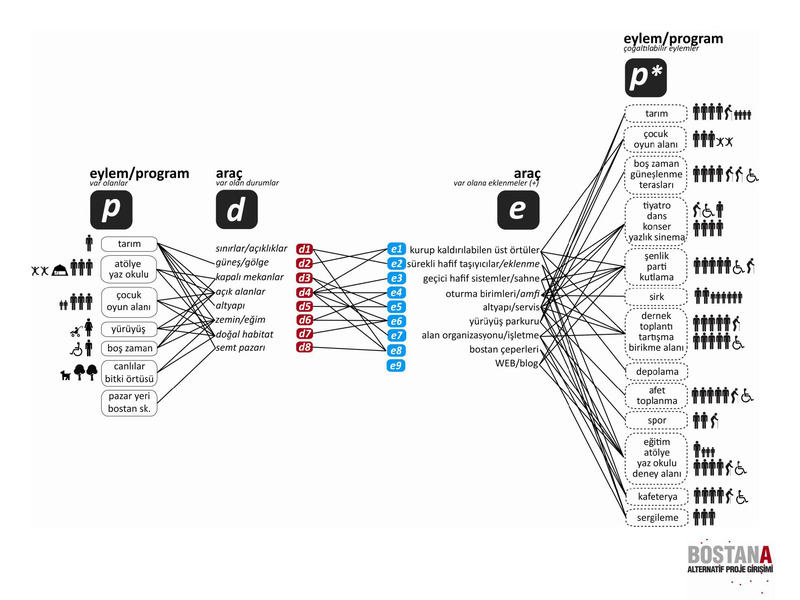 Collective production contains a unique temporality, knowledge production and dissemination processes. This work is invaluable since it shows us the fact that physical encounters and rapprochements that aim at direct production, trust that emerges from common experience and collaboration, common negotiations and sensations provide an opportunity for a unique kind of knowledge production, dissemination and sharing. We experienced a process that revealed the value of keeping the sensations that emerge from social and environmental needs and threats alive in our daily lives. As much as experiencing and being educated by these contexts and sentiments, we have to create mutual experiences and remember that they are a very important source in terms of producing social and democratic contexts through common decision and negotiation processes. 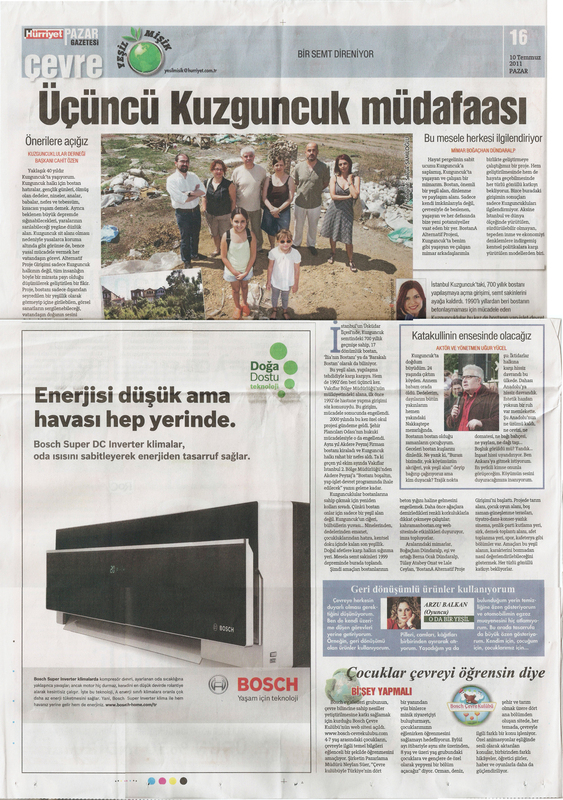 Kuzguncuk residents and the Association of Kuzguncuk Residents worked devotedly to overcome once again in their 20-year-old struggle against development threat on the Orchard of Kuzguncuk, and in 2013 they did manage to cancel out development plans for a school on the orchard area. In 2014 the orchard has been leased out to the Uskudar Municipality as a result of a tender which was put out by the General Directorate for Foundations. The alternative project that we prepared collectively with the residents of the neighborhood in 2010 suggests shared public use of the orchard, and it was brought back to the agenda as the orchard gets a new tenant. The project has put into practice through a collaboration between the association, the residents of neighborhood and the municipality while we, as architects from Kuzguncuk, moderate the process. The orchard life that we looked forward to through this project initiative for last 5 years of 20-year-old resistance struggle has become more than just a conservation of land, and nowadays the orchard keeps creating new uses and new characteristics to its collective memory. Until the next possible attack for future development plans on the Orchard Kuzguncuk residents look happy and the neighborhood is in high spirits. Within the scope of YAP: Young Architects Program, Istanbul Modern presents a marathon of discourse on the concept of “memory”. The context of the event is provided by ALL THAT IS SOLID, a project by PATTU designed specifically for the museum courtyard and which references the history of the Tophane district where the museum is located. The marathon comprises half-hour presentations, conversations and discourses on memory by participants from the arts, social sciences, urbanism and architecture, and science and technology. Organized on the initiative of and moderated by PATTU, the marathon event first examines memory from the perspective of science and technology. 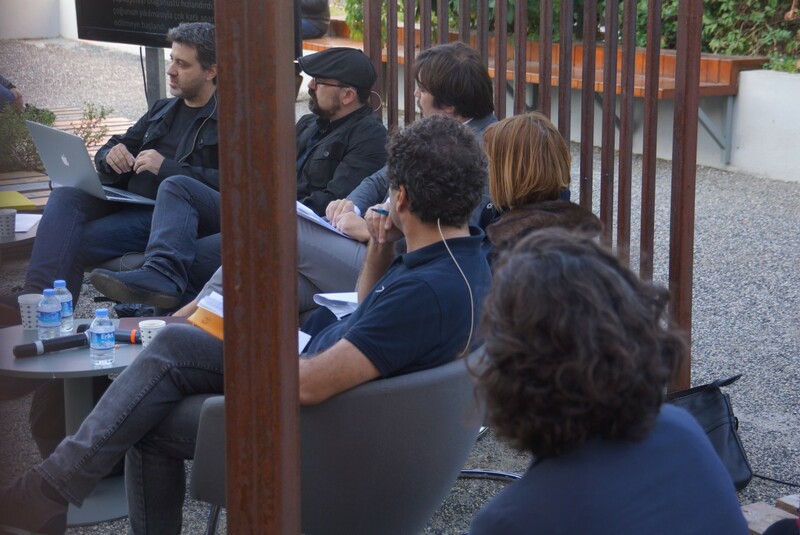 In particular, participants discuss the relationship between memory (as a function of the human brain) and rapidly-emerging technological innovations, and what the future of this relationship may hold. The next leg of the marathon looks at “memory of everyday life” through archival materials used to re-visit the past and compile a record for the future. 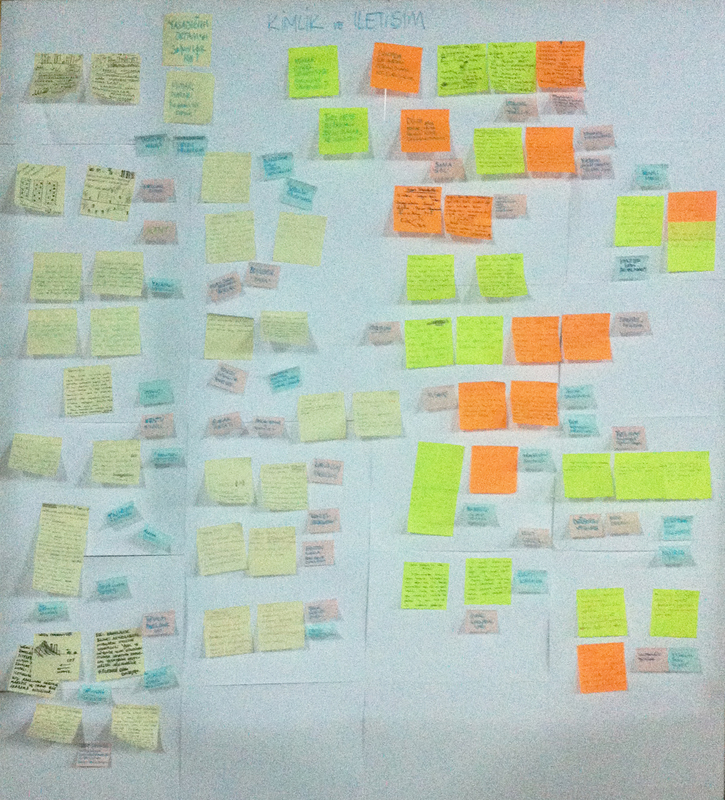 Drawing on Tophane as a case study, participants explores how music, sound, photography, documentation and other records of memory in the social sciences and arts establish intertemporal connections. The final leg focuses on the position and importance of public squares, monuments and dense urban areas in the production of collective memory through the lens of contemporary art history, architecture and studies on urban culture. 11.00 – 13.00 What is memory? 15.45 – 18.00 Which past? The event is free of charge and will be held in Turkish. 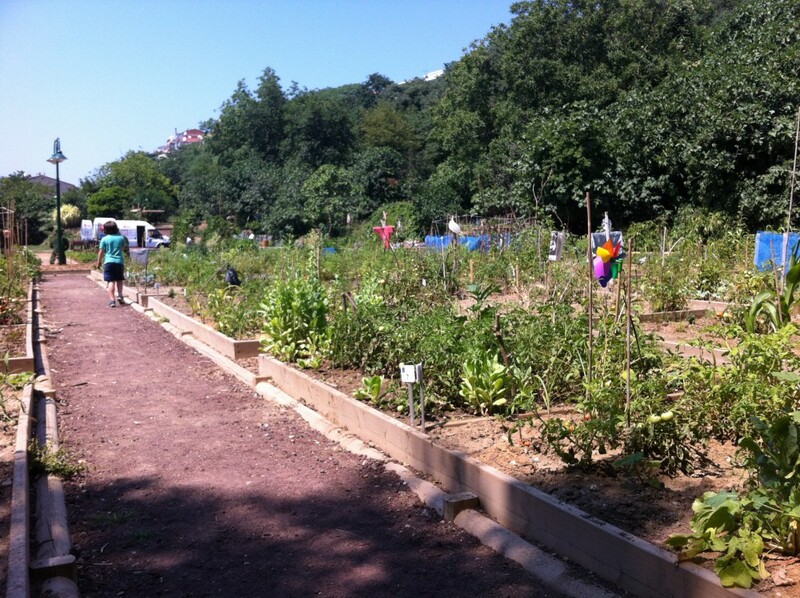 In Istanbul the community garden project Bostan is awaken to a new life. The word Bostan means garden near your house, where you grow your daily food. And this is what people like to do in Turkey, even when they live in a city of millions – like Istanbul. 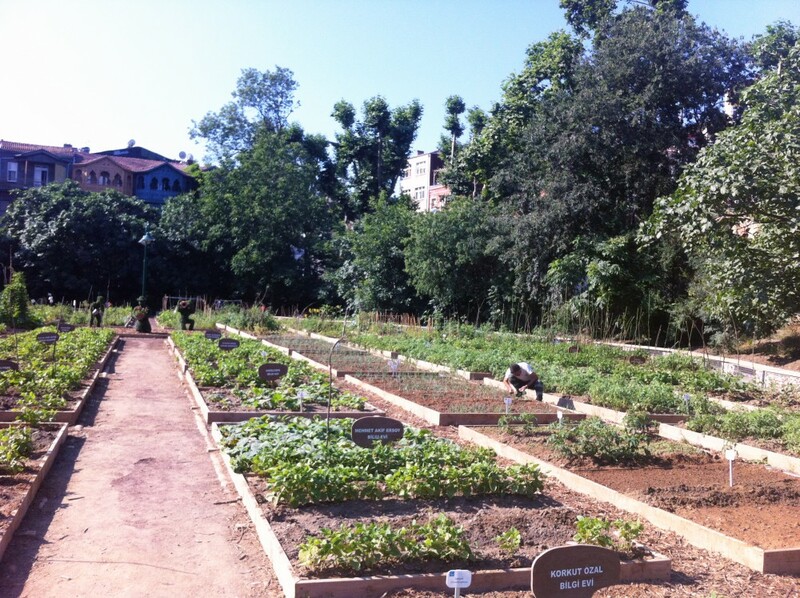 For more than 30 years people people here have struggled to defend their common garden against urbanisation. Since 2015 people can produce their food at Bostan, School gardens and fruit trees included. XXI’de bu ay kentsel tarımın yaratabileceği değişimleri sosyolog Ayça İnce, mimarlar Burcu Serdar Köknar ve Hasibe Akın, permakültür üzerine çalışan Deniz Üçok ve Buğday Derneği’nden Hakan Gönül ile yapılan konuşma yer alıyor. Sohbetin yanı sıra Boğaçhan Dündaralp, Kuzguncuk Bostanı deneyimi üzerine bir yazı kaleme aldı ve tarımsal üretimle kamusal kullanım ilişkisinin nasıl kurgulanabileceğinin araştırıldığı süreci paylaştı. Kuzguncuk Bostanı 700 yıllık bir tarihe sahip. Ancak bostanın son sahibi İlya 1980’lerde ölüyor ve bostan hiç akrabası bulunamadığı için Vakıflar Genel Müdürlüğü’ne devrediliyor. O zaman burası bostan vasfında yeşil alan olarak görünürken 1986’da plan tadilatı yapılıyor ve okula çevriliyor. Ve 90’larda ilk eylem başlıyor. Ancak her defasında yeni bir projeyle geliyorlar, 2000’de de yine bir eylem oluyor; ardından alan bir peyzaj firmasına kiralanıyor ta ki 2010’da burası tekrar boşaltılana dek. Bizim bu alan üzerine çalışmamız 2010’da başlıyor. Bu projeleri birlikte yürüttüğümüz bir mimar arkadaşımız tesadüfen Boğaziçi İmar’da okul projesini görüyor ve fotoğrafını çekiyor. Bu okulun üç boyutlu modelini yapıp, yerine montajladık ve Kuzguncuk’ta her yere astık ki herkes okulun inşa edilmesiyle birlikte bostanın nasıl bir hal alacağını öngörebilsin. Ardından mahalleden itirazlar yükseldi. Biz de burası için alternatif bir projeyi geliştirdik. Bostanda zaten olagelen bir sürü aktiviteyi biraz daha geliştirip nasıl arttırabileceğimizi araştırdık. Hıdrellez şenliklerinden yazlık sinemaya, doğum günü kutlamalarından çocukların organize ettiği voleybol turnuvasına kadar dek çeşitlenen aktiviteler bunlar. Bunları nasıl çoğaltabileceğimizi soran birtakım broşürler yapıp mahallede dağıttık, daha neler olabileceğini herkesle paylaştık. Çıkan verilere dayanan alternatif projeyi Boğaziçi İmar, Anıtlar Kurulu gibi kurumlara gidip anlattık. Bir yandan da bostanın bostan olarak kalması için hukuki süreç sürüyordu. Öte yandan da bostan mahalleliler tarafından kullanılmaya devam ediyordu. Ardından 2013’te okul projesi Boğaziçi İmar tarafından onaylanıyor. Anıtlar Kurulu tarafından onaylanmayınca bu kez üst kurula gönderiliyor ve o da hükümetin alt organı gibi çalıştığından hemen projeyi onaylıyor ve Çevre Komisyonu’na gönderiyor. Sonradan proje komisyon tarafından iptal ediliyor. Bu da gezi sürecine paralel bir döneme denk geldi. Diğer birçok etkinlik gibi mahalle forumları da bostanda yapıldı. Burası İlya’nın zamanından beri bostan ve o kimliği sürdürmek ve desteklemek için ekip biçme ile ilgili insanlar da buraya geldiler, burada birtakım ekip biçme faaliyetleri dışında permakültür vs çalışmaları yapıldı. Bu projenin iptal edilmesi ile kiralama süreci arasındaki süreçte burada farklı bir deneyim yaşandı. Herkes bir nevi bostanı işgal etti ve gerilla tarım yapıldı, herkes bir şeyler ekip biçmeye başladı. Herkes kendine göre bir alanın etrafını çevirdi, kimisi baktı, kimisi bakmadı, kiminin ekinleri çalındı vs. İşte bunu deneyimlemek çok sey kattı bize. Fark ettik ki tarım meselesi herkes için birleştirici bir araç olabilir. Sonra 2014 Mart ayında, Vakıflar burayı kiralama ihalesi açtı ve ihaleyi Üsküdar Belediyesi aldı. Biz de o tarihten bugüne dek bir proje üstünde çalışmaktayız. 2010’da hazırladıpımız alternatif proje zamanında katılımcı bir sürecin nasıl olabileceğini deneyimledik , insanlarla nasıl bir görsel diyalog kurmamız gerektiğini az çok çözdük. O nedenle 2014’te başladığımız bu yeni projede oranın hayatını gösterecek görseller oluşturduk. Herkesin tahayyülünde olup biten meseleleri biz mimarların anladığımız anlamda proje gibi değil de kolay anlaşılabilir bir görsellikle ürettik ve paylaştık. 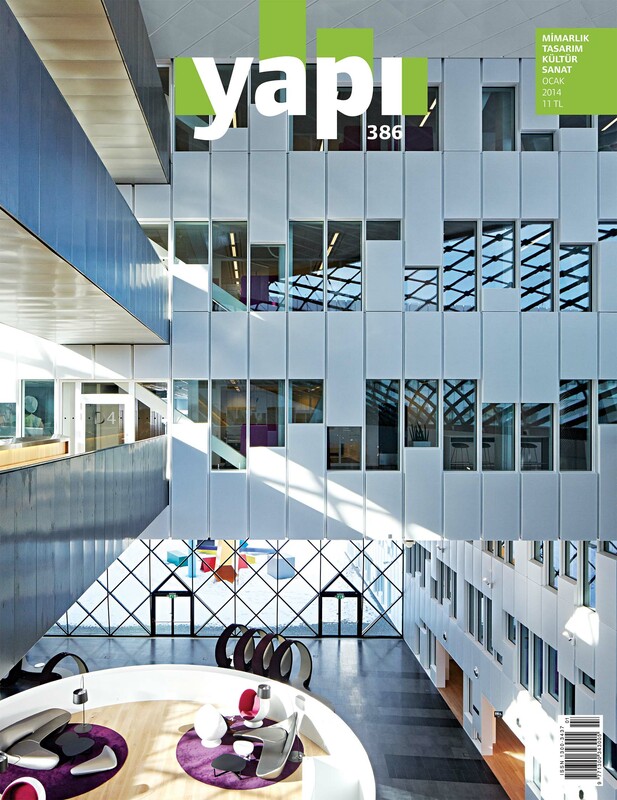 Bir yandan mahalle toplantılarında bir yandan yerel gazete Kuzguncuk Postası’nda projeyi yaydık. Belediyenin kiralamanın ardından ilk işi üst setlerdeki ağaçları budamak olmuştu, biz de bu üst setin artık orman vasfı kazanmış bir alan olduğunu onlara anlatmaya çalıştık. Bir yandan ağaç envanteri çıkartırken diğer yandan Tema Vakfı ile belediyeyi yan yana getirdik. Sonuçta üst setleri, yani orman vasfında olan yerleri meyve bahçeleri haline getirme konusunda herkes mutabık oldu. Geri kalan alanlarsa kent bahçeciliği için üretilmiş yaklaşık 100 tane yükseltilmiş sebze yatağının olduğu kısımlar, İlya zamanındaki gibi köy meydanı gibi işleyecek ortak alan, çocuk oyun alanı, kütüphane / kum havuzu gibi işlevlerle organize ettik. Burada yapılan her şeyin doğal malzemelerden ve geçici nitelikte olması en büyük önceliğimizdi. İlya da zamanında burayı hiçbir zaman özel mülk alanı gibi kullanmamış, burayı herkese açmış. İsteyen gidip ihtiyacı olanı alır ve bütçesi kadar bırakırmış. Buradaki bu türden alışverişin kamusal bellekte de bir yeri var. O belleği sürdürecek bir yer olması bizim için de önemli. Burada yaşanan gerilla tanım sürecinden çok şey öğrendik. Mekanın herkese eşit br şekilde dağıtılamaması, Kuzguncuk dışından gelenlerin buradaki dinamikleri tam olarak çözemeden hareket etmeleri gibi durumlarda böylesi bir alanın herkesin birbiriyle ilişki kurabildiği br yer olarak yönetiminin önemini kavradık. Bu, yine de tabi ki güzel bir andı. Herkes gibi bizde bunun geçici bir durum olduğunun farkındaydık, sonuçta bunu görmek bir deneyim. Onun üzerinden şimdi daha fazla katılımın mümkün olabileceği, herkesin eşit haklarda taleplerini karşılayabileceği bir tarımsal faaliyetin nasıl olabileceğini araştırıyoruz. Bostan için planlanan 100 küsur tane alan için Kuzguncuk’ta 300’den fazla kişi başvurdu. Bunun için kura çekilerek o yükseltilmiş yatakları kullanacak olanlar belirlenecek. Şimdi o yaklaşık 100 alan için tahayyül yapılması da gündemde, bunu kullananlar için belli süreler öngörmek lazım ki daha çok insan yıllar içinde faydalanabilsin. Ya da birileri iyi bakamıyorsa mesvsimsel döngü içindeki gereklilikleri yerine getiremiyorsa devretmek zorunda olmalı ki başkasının hakkı yenmesin. Bostanın kullanımında kendi içinde birtakım etik sorumluluklar oluşmalı ki yaşasın. İlya’nın ölümünden şimdiye dek geçen süreçte, eskiden tarım alanı olan şey bugün artık başka bir kimliğe bürünmüş halde. Sadece ekim biçim yapılan bir yerden çok sayıda kamusal etkinliğe ev sahipliği yapan ve kendine has bir kamusal bellek geliştiren bir yer dönüşüyor. Sonuçta orada yaşlılar belki ekip biçerek değil, yürüyerek oturup dinlenerek vakit geçirmek istiyor, çocuklar bambaşka türlü bu alandan faydalanmak istiyor olabilir. Herkes için burası bambaşka bir anlam ifade ediyor. Birtakım sosyal hareketlilikler için birlikte paylaşılan bir yer haline geliyor. Gidip kitabını okuduğun tek başına vakit geçirdiğin, yürüyüş yaparak kendini rahatlattığın, köpeğini gezdirdiğin, onu salabildiğin bir yer oluyor. Sonuçta Kuzguncuk’ta yaşayan herkesin farklı ihtiyaçlarına farklı yanıtlar veriyor, hem tekil ve özel hem ortak ve paralel. Böyle olunca orası sadece bireysel vakit geçirilen bir yer değil, sosyal olarak da yaşamın ekseninin çizildiği bir yer haline geliyor. Bunun için de tarımsal faaliyet de, gölgesinde oturulan ağaç sayesinde yaşanan doğal bir deneyim de var. Bizim bu projeler üzerine çalışırkenki motivayonumuz da alanın bostan ve yeşil kimliği sürerken Kuzguncukluların burasıyla ilgili beklentilerini, yaşamak istediklerinin karşılığı olacak şeyi burada nasıl sürdürülebilir kılacağımızı bulmaya ve bunun için buraya ne kadar müdahale edilmesi gerektiğini anlamaya çalışmak. Bir kamusal alanda en önemli şey, o yere yer kimliğini veren bütün insanların, orada yaşayanların oradaki sürekliliğin bir parçası olması ve kendi anılarını biriktirmeye başlaması ki orada bir sahiplenme oluşsun, o yerin değeri bilinsin ve bu deneyimler sürekli aktarılabilsin. Burada Tülay Atabey Onat,, ben ve projeye emek koyan diğer mimarlar olarak en büyük avantajımız, tek başımıza hareket etmememizdi.Burada birikmiş olan bilgilerin, belli ilkelerin sorumluluğunu üstlenmeye çalıştık. Buranın bostan kimliğini sürdürmesi herkesin üzerinde hemfikir olduğu bir meseleydi ama bunun ne kadar ya da nasıl olacağı gibi konularda görüş ayrılıkları yaşanıyordu. Mesela buraya aktivist olduğunu iddia eden ve öyle hareket eden ama ne bu mahallenin ne de herhangi bir yerin parçası olmayı bilmeyen birileri gelip buraya çivi bile çakılmaması, olduğu haliyle kalması gerektiğini söylediler. Ama bunu yaparken de bürün o katılım süreçlerine dahil olmak, onları anlamak ve onlara itiraz etmek değil de gerçekçi olmayan şeyler öne sürerek burada eylem yapmak gibi yollar seçtiler. Oysa Kuzguncuk’un ve bostanın dinamikleri başka. Sonuçta şu an yapılmakta olan, ne tek başıma benim istediğimi yansıtıyor ne de aslında görmek istediğim şeyleri barındırıyor. Belki de kimsenin tüm detaylarıyla görmek istediği gibi değil ama herkesin ortak olarak kabul edebileceği bir düzeyde; temel ilkeleri olan ve onu sürdürürken müşterekleri koruyan bir düzeyde… Buradaki ana derdimiz, buranın bostan ve yeşil kimliğini korurken; buraya okul yapılmaması ve alanın Kuzguncuklular için kamusal niteliğini sürdürmesi. Burası bireysel olarak, mülkiyet olarak kimseye ait değil, herkese ait. O nedenle bostan kimliğine zarar vermeden her şeyin sökülüp takılabilir olduğu, gerektiğinde oranın bir parçası olabilecek şekilde doğal olduğu bir kkurgu oluşturmaya çalıştık. Bu perspektiften bakıldığında kapının öyle ya da böyle olması veya küçük detayların nasıl olduğu önemsiz kalıyor. Farklı topluluk ve disiplinlerden aktivistler, medya üreticileri, akademisyenler, sanatçılar ve fikir savunucuları, müşterek (kamusal) alanların geri kazanımı için verilen mücadeleler ile bu konudaki alternatif ve disiplinlerarası yaklaşımları farkındalık ve görünürlük ekseninde ele almak üzere 13 Aralık Cumartesi günü DEPO İstanbul’da bir araya geliyor. Seminer ve atölyede, müşterek (kamusal) alanda yaratılan ortaklıklar, fiziksel ve zihinsel mekanlarda yaşanan deneyimler paylaşılacak. Ayrıca, eylemsellik, tabandan katılımcılık, şeffaflık, özyönetim, toplumsal bilinçlenme, kolektif üretim ve ortaklaşma pratikleri üzerinden alternatif yaklaşımlar değerlendirilecek. Bu kapsamda medya üretimi ve iletişim alanındaki ihtiyaçları tespit etmek, çözüm üretmek, kampanya fikir ve stratejileri geliştirmek üzere de çalışmalar gerçekleştirilecek. Medya ve iletişim, kültür-sanat, tasarım, mimarlık, şehir planlama gibi farklı alanlardan konuşmacılar, video gösterimleri eşliğinde, farklı mahallelerdeki canlandırma, iyileştirme ve koruma projeleri, alternatif plan üretimleri, müşterekleri haritalama, dayanışma deneyimleri, sokak mücadeleleri, dijital kamusal alan, sokak sanatları gibi başlıklar altında deneyimlerini paylaşacak ve soruları yanıtlayacaklar. Katılımcılar, müştereklerin geri kazanımına ve kentin geleceğine dair soru ve cevaplar üretecek, alternatif proje girişimlerine, kullanılabilecek medya araçları ve iletişim stratejilerine yönelik fikir alışverişinde bulunacak ve gruplar halinde yaratıcı egzersizler gerçekleştirecekler. Bu ortaklaşa fikir üretimi ve aksiyon alma süreci belirli aralıklarla düzenlenecek olan Kent Karşılaşmaları ile devam edecek. Müşterekler, toplumun tüm üyelerinin erişimine eşit şekilde açık olması gereken hava, su ve toprak gibi doğal kaynaklar ile kültürel, eğitsel, kentsel, bilimsel kaynakları anlatır. Hem herkese ait olan hem de kimseye ait olmayan müşterekler, sivil toplumun ihtiyaçlarının merkezde olduğu, sosyal hakların ve katılımcı süreçlerin deneyimlendiği bir alan olarak karşımıza çıkıyor ve daha yaşanabilir ortak bir geleceğin temellerini oluşturuyor. Konuk editörlüğünü Şevin Yıldız’ın yaptığı, 7. 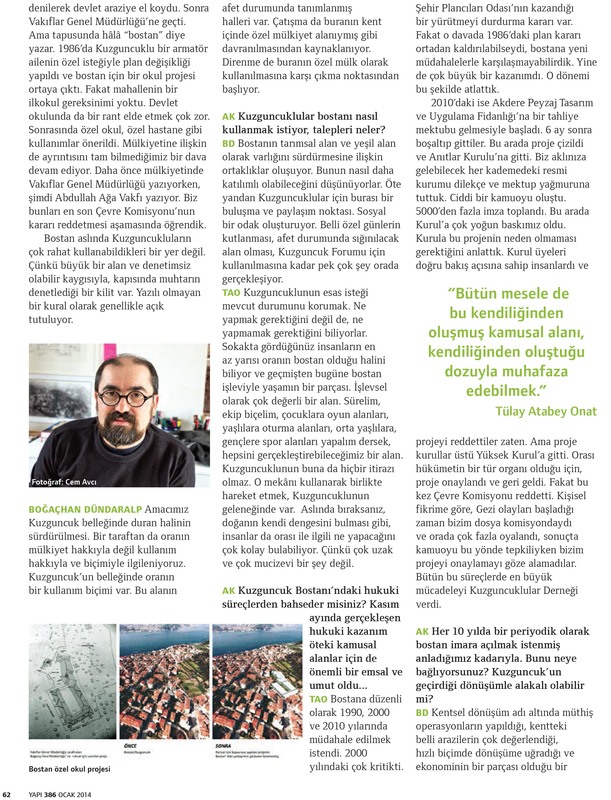 New City Reader gazetesi Ekoloji İstanbul sokaklarında. Bu sayıya katkılda bulunalar Sonay Aykan, Boğaçhan Dündaralp, John May, David Harvey, Pelin Tan ve Ayşe Çavdar. 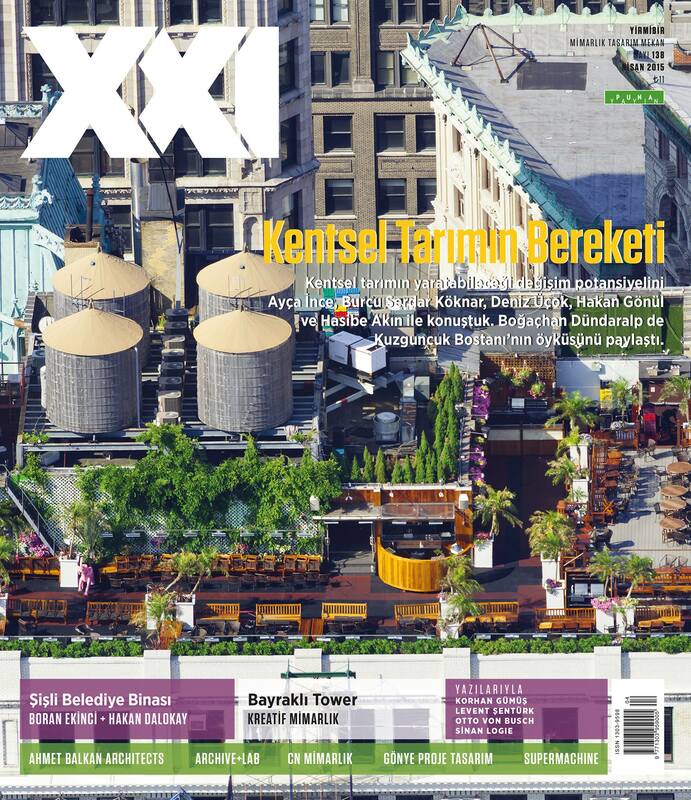 Guest edited by Şevin Yıldız, the NCR-07 [Ecology] is out on the streets of Istanbul. 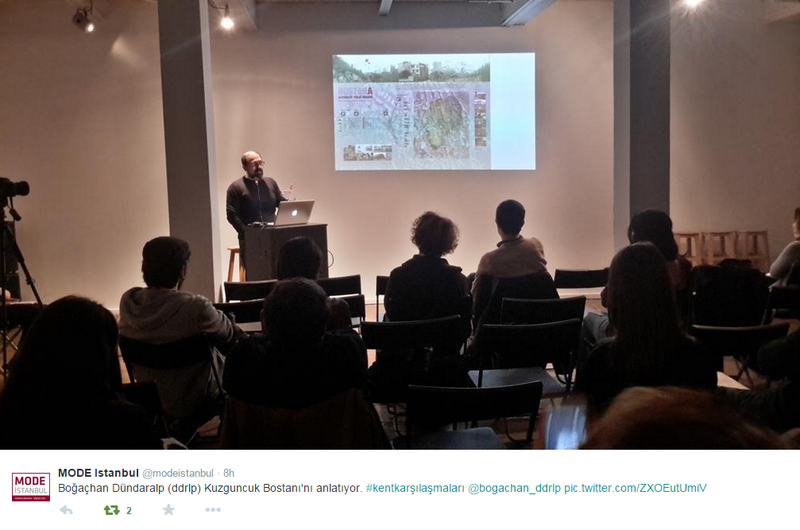 The issues contributers are Sonay Aykan, Boğaçhan Dündaralp, John May, David Harvey, Pelin Tan and Ayşe Çavdar. İstanbul son 10 yıldır,belki de küresel kapitalizm ve neoliberal politikalar pençesindeki pek çok kent gibi, kent peyzajının dönüştürüldüğü, yeniden üretildiği bir sürecin içinde. Bu süreç yalnızca fiziki değil; sosyal ve ekolojik açıdan kent parçalarını yeniden tanımlıyor, biçimlendiriyor. Özel mülkiyeti, tüketimi, otoriter yapılaşmayı öncelikli hale getirerek kamusal alanları tehdit eden ve tehdit etmekle de kalmayıp TOKİ gibi mekanizmalarla kamusal alanları özel mülkiyetlere dönüştüren, kentin doğal kaynaklarını yok eden; sosyal ayrıştırma ve yerinden etme mekanizmalarının işlediği bir ortam.Sosyal ve ekolojik krizlerin kaynağı haline gelen bu ortamda ‘tasarım’, ‘yer’in kendi gerçekliğini yok sayan, yoğun estetizasyon ve yeniden işlevlendirmeyle olageleni meşru kılan bir araç gibi; ‘tasarımcı’ da yaratıcılığı bu yönde teşvik edilen pasif ve uzlaşmacı bir rolde kullanılmaktadır. Kentli olma haklarının ihlal edildiği,birbirinden izole edilmiş, tüketim odaklı, yapay ve homojen peyzaj fragmanlarına dönüşmeye başlayan bir kentiçin kuşkusuz en çarpıcı sonuç, kentlerde alternatif yaşam ve özgürleşme olanaklarının giderek yok edilmesidir. ‘Yer’ duygusunun hissedilebildiği,kendine göre bir hayat ritmi, yaşama biçimi olan, katmanlı, üretken kent peyzajlarının tıpkı kentin doğal kaynakları gibi kaynaklarından kopartılması,yok edilmesi giderek artmaktadır. Kentler kendi kültürel birikimini doğurduğu devinim ve zenginliklerini, etkileşime dayalı ağları ve üretkenliklerini kaybetmektedir. Kuzguncuk; İstanbul’un yoğun yapılaşma, sürekli ve hızlı dönüşüm trafiğinden ya da sondönemlerdeki kentsel dönüşüm adı altında yapılan tepeden inme ‘soylulaştırma’, ‘yerinden etme’, ‘değer arttırma’ gibi kentsel operasyonlardan kendini koruyabilmiş, ‘yavaş’ dönüşüm yaşayan, otantik varoluşunu, dokusunu, karakterini koruyarak gelişen, İstanbul’da kalan belki de tek boğaz köyü. “Bunu nasıl başarıyor?” sorusunu sorarsak, bunun iki tane temel yanıtı var. Birincisi İstanbul’daki topoğrafik konumu.Bir yanda Fethipaşa Korusu, diğer yanda Nakkaşbaba Mezarlığı arasında bir vadiye yerleşen köy, Bağlarbaşı tarafında arka uçtaki kentsel gelişmeden kısmen kendini topoğrafik sınırlarla yalıtabilmiştir. Bu sınırlar içindeki fiziksel-karakteristik dokusu ‘sit alanı’ kapsamında da korununca; yıkılmadan yenilenerek varolmayı zorunlu kılan alçak katlı, eski eser ağırlıklı bir doku olarak konumunu sürdürebiliyor. İkincisi, bu doku sayesinde 1980’lerden başlayarak ciddi bir entelektüel göç alarak buradaki doku hem yenileniyor hem de yaşayanlar anlamında yeni komşuluk ilişkileri üretiyor. Bu entelektüel göç, gün geçtikçe artmasına rağmen hızlı bir dönüşümle değil; müzakere, karşılaşma, kabullenme, karşılıklı birbirinin varlığını kabul ederek ilerleyen bir süreçle gerçekleşiyor. Bu nedenle neo-liberal ekonomilerle üretilen hızlı kentsel dönüşümlerde olduğu gibi alt-ekonomiyi, ekonomik dengesizlikleri, komşuluk ilişkilerini ortadan kaldıran, bölgeler arası ekonomik göstergeleri uçlara taşıyan ayrışmalar burada gözlemlenmiyor. Onun bu koşullarda İstanbul gibi hızlı dönüşümün yaşandığı bir kentte kendi kimliğini koruyarak ağır evrimleşmesi; bir taraftan kentleşme ile kaybedilen pek çok olgunun hala varolabildiği bir yaşam alanını temsil etmesini sağlıyor, diğer taraftan da onun bu kimliğini gözler önüne sunan TV dizileri, reklamlar sayesinde de bir turistik cazibe merkezi haline geliyor. Bostan, ‘namı diğer İlya’nın Bostanı’ ise bu kentsel doku içinde kalan, son yeşil boşluk olarak hem yerel yönetimler, hem de ekonomik iktidarların İstanbul’un hızlı kentsel dönüşümünün Kuzguncuk’taki anahtarı olarak her 10 yılda bir gündeme taşınıyor. Bostan olarak korunması gerekli bu alan; İmar Planlarında 1980’lerin ikinci yarısında yapılan oynamalar sonucu bunlara karşı açılan davalar gibi hukuki düzlemlerde de verilen savaşlarla, 1990’da ve 2000’de buradaki bilinçli yerel oluşumlar sayesinde korunabilmiş ve 2010’da tekrar bu alan üzerindeki planlar gündeme gelmiştir. 2012’de mülkiyet hakkını elinde tutan Vakıflar Genel Müdürlüğü tarafındanbostan alanını kaplayan, kitlesi ve programı ile uyumsuz, kamusal kullanımlara kapalı birözel okul projesi hazırlatılarak hayata geçmesi için bir girişimde bulunulmuştur.Kuzguncuklular bu girişim sonrasında bir taraftan hukuki, bir taraftan sosyal (şenlik, ortak üretim, çeşitli workshoplar, farklı medya üretimleri), bir taraftan da alternatif bir proje üreterek hazırlatılan projeye karşı çıktılar. Alternatif olunan projenin hem yapısal durumuna hem de kentteki bir alanın ‘değer’ine ilişkin bugünün kent politikaları, kentleşme modelleri üzerinden yeni bir müzakere alanı açılarak, bu alana ilişkin yaklaşımların ‘tek bir model’ üzerinden yapılamayacağını göstermeye çalıştılar. ‘Mülkiyet hakkı’ndan çok ‘kullanım hakkı’na odaklanarak, tarafları yeni bir müzakere alanına taşımaya çalıştılar. Bu çaba ile Bostan’ın sahip olduğu değerleri kaybetmeden yaşatılabileceği alternatif modellerin de mümkün olabileceğini ve bu yönde ortak bir çaba içine girebileceklerini gösterdiler. Tüm proje onay süreçlerin takip eden, kurumlarla iletişimini kaybetmeyen Kuzguncuk İttifakı sürekli tetikte ve proje ile ilgili gelişmeleri izlerken; 28.06.2012’de Kültür Ve Turizm Bakanlığı, İstanbul 6 Numaralı Kültür Varlıklarını Koruma Bölge Kurulu, Kuzguncuk bostanında yapılmak istenen ilköğretim tesis alanı yapılaşma başvurusunu; programı ve yapı kütlesi nedeni ile Kuzguncuk mimari dokusuna uyumlu olmaması gerekçesiyle uygun olmadığına, ayrıca parsel içinde tespit edilen bostan havuzunun korunması gerekli kültür varlığı olarak tescil edilerek koruma grubunun 2.grup olarak belirlenmesine karar verdi. Kuzguncuklular bu kararla biraz nefes aldılar, zaman kazandılar ancak süreç de direniş de bitmiş değil. In the last 10 years, perhaps similar to many other cities in the grip of global capitalism and neoliberal policies, Istanbul is a part of a process through which urban landscape is transformed and reproduced. This process redefines and shapes urban segments in social and ecological, not just in physical, terms. It is a context defined by the mechanisms of social segregation and exclusion; a context, which threatens public spaces by prioritizing private property, consumption and authoritarian urban design. Moreover, going beyond intimidation, the process transforms public spaces into private property by using mechanisms such as TOKİ, and destroys the natural resources of the city. In this context that became a source of social and ecological crises, “design” is used as a tool that ignores the realities of the “place”, legitimizes the prevalent through intense aestheticisation and refunctionalization; and the “designer” is used in a passive and reconciliatory role that encourages creativity along these lines. Without a doubt, the most striking result for a city in which the rights to be an urban resident is violated, a city which is turning into isolated, consumption-oriented, artificial and homogenized landscape fragments, is the gradual annihilation of the possibilities for an alternative urban life and emancipation. Just like the natural resources of the city, multi-layered and productive urban landscapes that have a peculiar rhythm and way of life, in which the feeling of “place” can be experienced, are being ripped off from their sources and destroyed. Cites are losing their cultural heritage that arises from mobility and wealth, their networks based on interaction and their productiveness. Kuzguncuk is perhaps the only village left by the Bosporus, which could protect itself from urban operations such as dense housing, continuous and rapid traffic of transformation, “gentrification” that has been going on for a while under the euphemism of urban renewal, “dislocation”, and “value enhancement”. It experiences a “slow” transformation, and develops while maintaining its authentic existence, texture and character. There are two basic answers to the question “how does it achieve this?” First answer is the topographical position of Istanbul. Located in a valley between Fethipasa grove and Nakkasbaba cemetery, the village, thanks to its topographical borders, could partially isolate itself from the urban development that has been taking place at the rear edge of Baglarbasi. Thanks to its characteristic texture in physical terms and its “historical site” status, it was protected within these borders and it remains as a texture dominated by historical landmarks and low-rises that necessitate a renovation without destruction. Second, because of this texture, beginning with the 1980s, it has received a significant intellectual migration, which regenerates the texture here and creates new neighbourhood relations. This intellectual migration increases everyday and it does not happen through a rapid transformation, but through negotiation, encounters, acceptance, and a process of mutual recognition. As a result, unlike rapid urban transformations induced in neoliberal economies, disintegration that destroys sub-economy, neighbourly relations and economic balances, inter-regional disparities are not observed here. On the one hand, its slow evolution and preservation of its identity in a context like rapidly transforming Istanbul, makes it an example of a life space in which most of the phenomena sacrificed for urban transformation can persevere. And on the other hand, thanks to the TV series and commercials that disclose its identity, it becomes a centre of attraction for tourists. Also known as “Ilya’s Orchard”, the orchard is the last remaining piece of green land within this urban texture, which is a fact that brings it to the agenda every 10 years as a key to rapid urban transformation demanded by local authorities and the economic government. This area, which supposed to be protected as an orchard, could be preserved thanks to the lawsuits for the stay of execution against the changes in the master plan in the second half of the 1980s and to conscious neighbourhood organizations emerged in the 1990s and 2000s. However, in 2010, plans for transformation of the area came back to agenda. In 2012, the General Directorate for Foundations, who holds the property rights to the orchard, designed a project for construction of a private school, which occupied the whole plot and was inharmonious due to its mass and programme. 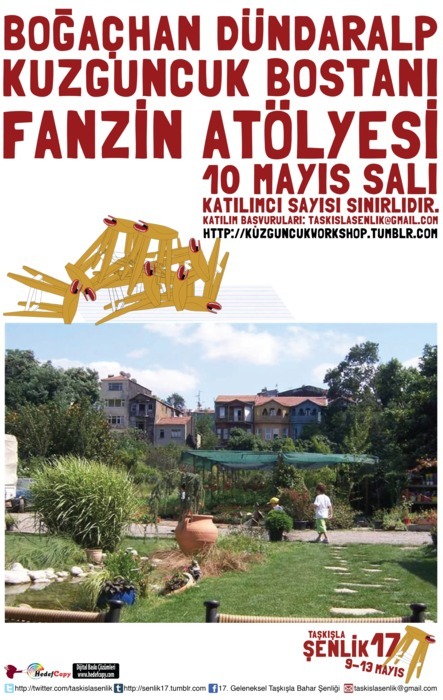 Kuzguncuk residents resisted this project by initiating a legal struggle, organizing social events (including festivals, common production, various workshops and different media productions) and proposing an alternative project. By generating a new space for a discussion on the structural conditions of the imposed project, the “value” of the area and contemporary models of urban policies and urbanization, they tried to show that the negotiations about the future of the area could not be carried out through a single proposal. Focusing on “right to use”, rather than “property rights”, they aimed to invite the parties in a novel field of negotiation. With this effort, they showed that the orchard could be preserved without losing its richness, alternative models were possible and these models could be pursued through a common endeavour. While following up on project approval processes and maintaining their communication with related institutions, Kuzguncuk Coalition stays on alert and monitors the developments about the project. On 28.06.2012, Ministry of Culture and Tourism, Cultural Heritage Preservation Regional Board, 6th Bureau of Istanbul, decided that the project that stipulates the construction of a primary school on the plot occupied by the orchard was not compatible with the architectural texture of Kuzguncuk because of its programme and structural mass. In addition, the Bureau resolved that the orchard pool detected in the plot was a cultural landmark and should be protected under 2nd group status. _ kuzguncuk/bostan ve alternatif proje hakkında detaylı bilgi için tıklayınız. _ “bostan yeşil iken pazarlığa oturulmaz.” /arkitera.com haberi için tıklayınız. Hayat pergelinin sabit ucunu Kuzguncuk’a saplamış; Kuzguncuk’ta yaşayan ve çalışan bir mimarım*. Kuzguncuk Bostanı’nın semt için taşıdığı önem nedir? Kuzguncuk; İstanbul’ un yoğun yapılaşma, sürekli ve hızlı dönüşüm trafiğinden ya da son dönemlerdeki kentsel dönüşüm adı altında yapılan tepeden inme ‘gentrification’ ya da soylulaştırma’, ‘yerinden etme’, ‘değer arttırma’ gibi kentsel operasyonlardan kendini koruyabilmiş, ‘yavaş’ dönüşüm yaşayan, otantik varoluşunu, dokusunu, karakterini koruyarak gelişen, İstanbul’ da kalan belki de tek Boğaz köyü. Bostan ise bu kentsel doku içinde kalan, son yeşil boşluk olarak hem yerel yönetimler, hem de ekonomik iktidarların İstanbul’un hızlı kentsel dönüşümünün Kuzguncuk’ taki anahtarı olarak her 10 yılda bir gündeme taşıdığı; simgesel değeri kullanım değerinin ötesine geçmiş bir yer. Kuzguncuk Bostanı bugün ne tür bir tehditle karşı karşıya? Proje; tepeden inme karar mekanizmalarının ürettiği sözde ‘eğitim’ kılıfına sokulmuş, alanın fiziksel varlığını ‘tehdit eden’, ‘yok eden’, ‘değerlerini ortadan kaldıran’ iktidar alanlarını temsil eden, bina formatı dışında olanakların da mevcut olabileceğini göstermeyi amaçlıyor. Bu alanın ‘kentsel değeri’ne başka bir bakış, farklı bir paradigma öneriyor. Geçmiş 10 yıllardaki direnişlerden, 2011’deki direniş içinde bu proje bir farklılık yaratacaksa; naif kalarak ‘yeşilimize dokunmayın’ demek yerine, bugünün kentsel dinamiklerini kavrayarak mevcut değerini kaybetmeden, kendi üretim, sosyal ve ekonomik modellerini de içerecek biçimde bu alana ilişkin yaklaşımların ‘tek bir model’ üzerinden kurulamayacağını tartışmaya açıyor. Konuyu yeni bir müzakere alanına taşımayı amaçlıyor. Girişim, bu yeşil alanın geleceği için nasıl bir proje ortaya koyuyor? Bizler önce kendimizden başlayarak, bilinen mimar kimliğimizi bir yana bırakarak, “Mimarlıkta kulladığımız araçları bu alanın kollektif, katılımcı gelişimi için yeniden nasıl kullanabiliriz ?” sorusunu sorduk. Sosyal bir aktör olarak mimar varlığımızı önce medyum olarak tarifledik ve şu ana kadar Bostan’nın yaşama ve kullanılma biçimlerini görünür kılmaya çalıştık. Sonra da katalizör olarak hem Bostan’ın hem de elimizdeki imkanların potansiyellerini araştırarak, var olanın değerlerini kaybetmeden, binalaşmadan, gerekirse geçici, sökülüp-takılabilir hafif yapılarla bu kullanımları nasıl çoğaltılabilir, zenginleştirebilirizin peşine düştük. Bu kullanımlar matrisi sadece olası başka fikir ve önerilerin birer örneklemesi… Dolayısı ile ucu gelişmeye açık bir çalışma modeli. Bu model kamusal kullanımlar dışındaki aktivetelerin varolabilmesi, kendine bakabilmesi ve gelişebilmesi için bir ekonomik modeli de içermek durumunda. Şu anda yaptığınız çalışmaları anlatır mısınız, sizlere destek olmak isteyenlere mesajınız nedir? _ haberi online okumak için tıklayınız. _ yapi.com.tr haberi için tıklayınız. _ atölyede üretilen tüm fikirleri fanzinden okumak için tıklayınız. 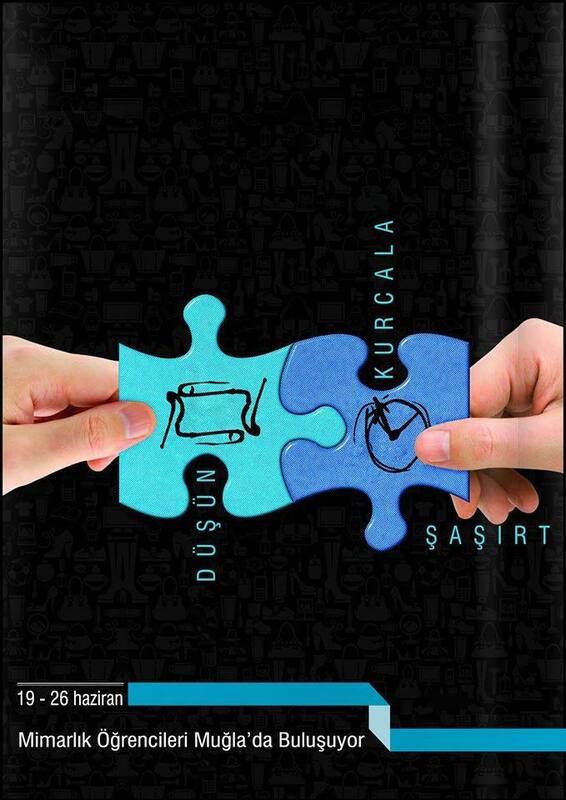 _ şenlik anasayfası ve programlar hakkında detaylı bilgi için tıklayınız. “kuzguncuk bostanına alternatif fikirler” fanzini is licensed under a Creative Commons Attribution-NoDerivs 3.0 Unported License. Atölye Yürütücüleri/Workshop Tutor: Jesko Fezer, Pelin Tan, Boğaçhan Dündaralp, Nusret Çakar. 02.03: Arrival to the guest house and architecture faculty. Sightseeing in the city. 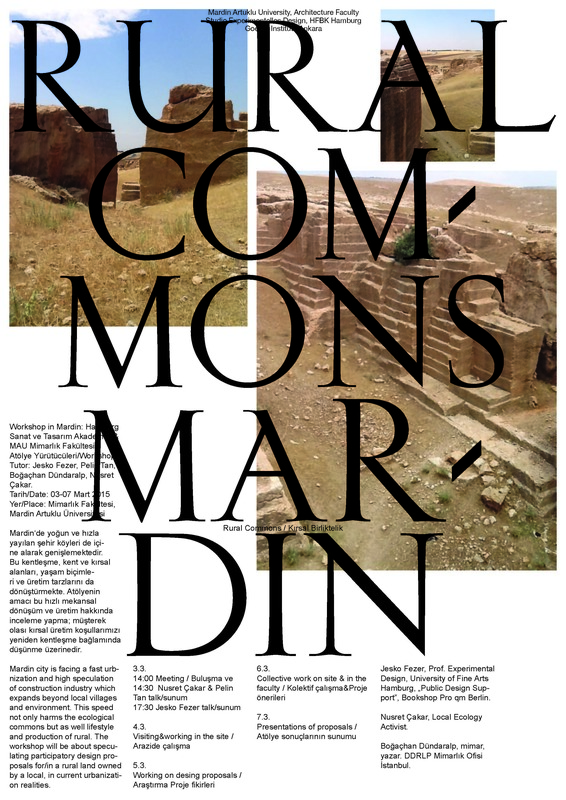 Mardin kent ve çevresini gezme. (Share taxis from airport to guesthouse – pelin will call them). 03.03 – 14:00 Meeting & Intro. 07.03 – Mart – Meeting in the morning / Afternoon sightseeing around Mardin / dinner at Beşir Projelerin / Atölye sonuçlarının sunumu/Mardin Çevresi gezme/Beşir’de yemek. Mardin’de yoğun ve hızla yayılan şehir köyleri de içine alarak genişlemektedir. Bu kentleşme, kent ve kırsal alanları, yaşam biçimleri ve üretim tarzlarını da dönüştürmekte. Atölyenin amacı bu hızlı mekansal dönüşüm ve üretim hakkında inceleme yapma; müşterek olası kırsal üretim koşullarımızı yeniden kentleşme bağlamında düşünme üzerinedir. Jesko Fezer ve öğrencileri ile birlikte oluşturdukları grup “Öffentliche Gestaltunsberatung” farklı kentlerde çalışmalar, katılımcı tasarım pratikleri üzerine danışmanlık yapmışlardır. 2013 yılında, İstanbul Kuzguncuk Bostan’ında mimar Boğaçhan Dündaralp ile ortak çalışmalar yapmışlardır. Jesko Fezer aynı zamanda Berlin pro-qm mimarlık&sanat&tasarım kitap evinin kurucusudur. 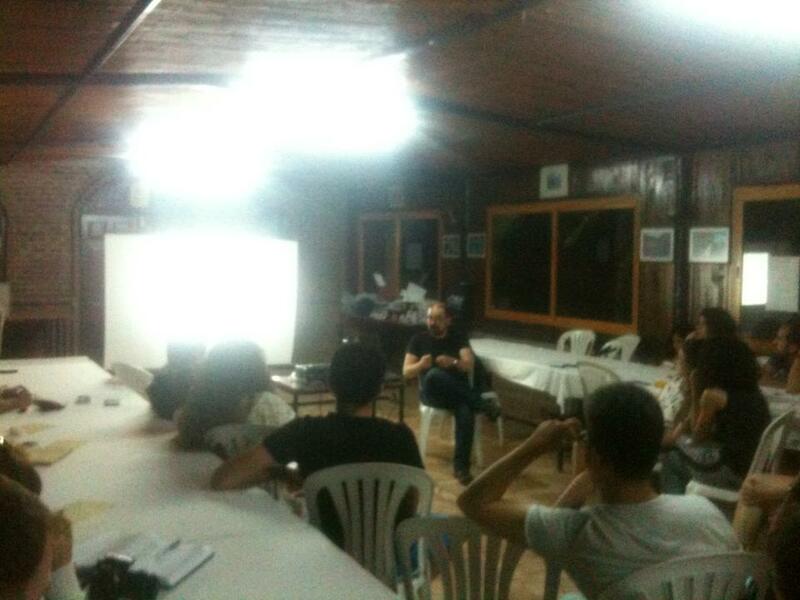 Nusret Çakar, a local, founder of Mardin Environment and Wild Life Assoc. Boğaçhan Dündaralp, mimar, yazar. DDRLP Mimarlık Ofisi İstanbul. Kimlik ve iletişim atölyesi 21 – 22 Haziran 2014 tarihinde Boğaçhan DÜNDARALP yürütücülüğünde 9 farklı üniversiteden 12 mimarlık öğrencisiyle gerçekleştirildi. 21 Haziran 2014 tarihinde akşam atölyesiyle başlayan sohbette ilk olarak Boğaçhan Dündaralp’in mimari kimliği ve bazı projeleri konuşuldu, yaptığı projeler doğrultusunda Türkiye’nin büyük bir problemi haline gelen TOKİ ve mahalle olgusunun hala yaşatılmaya çalışıldığı Kuzguncuk ve Kuzguncuk Bostanı ile ilgili bazı konular tartışıldı. 22 Haziran günü sabah saatlerinde başlayan atölyede Boğaçhan Dündaralp tarafından öğrencilere 3 temel soru yöneltildi. Bu sorular doğrultusunda beyaz zemin üzerine renkli post-it’ler ile düşünceler dökülmeye başladı. Günün sonunda kalabalık bir düşünce haritası oluştu ve öğrenciler birçok soruyu sorgulayıp çözüm üretmeye çalıştı. Atölye sonunda öğrencilerin mimari kimlikleri, yaşadıkları şehirlerde, ülkelerinde ve dünyada gördükleri en temel sorunlar ve bu sorunların çözüm aşamasındaki sorumlulukları, neler yapılabileceği gibi konularda zihinsel egzersizler yapıldı. Mimarlık öğrenci buluşmaları ne/leri mümkün kılar, açığa çıkartabilir? ‘Kimlik ve iletişim’atölyesi, yaşadığımız ortam-lar/dünya ile kurduğumuz ilişkiyi temelde bu soru ekseninde varlığını kurarken; içeriğinde toplumsal bir rol olarak mimarlık hallerini sorgulamaya çalıştı. Öğrencilik hayatımın en önemli deneyimlerini kapsayan ve 1993 Gökçeada mimarlık öğrencileri buluşması ile başlayan TMÖB; bana kendi kimliğimi inşa etme yolunda ve başka mimarlıklar kadar mimarlarında farklı rollere bürünebileceğine dair önemli bir farkındalık ve motivasyon yaratmıştı. Bu mimarlık buluşmasına davet ve katılımım bu imkânı görünür kılmak, paylaşmak, bir atölye açmaktan öte sorumluluk haline geldi. Gece sunumum atölye için; 93 buluşması sonrasında kendi mimari serüvenimi, kendimi mimarlık içinde konumlandırma çabamı, bu farkındalıklar içinden yaptığım/ız farklı üretimlerin hangi sosyal içeriklerle biçimlendiğini anlattığım bir başlangıç noktası oluşturdu. Bir günlük yaklaşık 12 kişi ile yaptığımız 3 temel soru üzerine odaklanmış atölye; tartışmalar, paylaşımlar, farklılıklar, yaklaşım zenginlikleri ve çaresizlikler içinden zengin bir düşünsel faaliyetle gerçekleşti. Hepsi boş beyaz bir zemine, post-it ‘ lere döküldüler. Renkler, içerikler her defasında her katılımcı için yeniden üretilebilen bir haritaya, bir hafızaya dönüştü. Umarım benim heyecanım, tüm katılımcılar için de ortak bir heyecan, duygulanım ve yeni açılımlara dönüşmüştür. Kuzguncuk; İstanbul’ un yoğun yapılaşma, sürekli ve hızlı dönüşüm trafiğinden ya da son dönemlerdeki kentsel dönüşüm adı altında yapılan tepeden inme ‘gentrification’ ya da soylulaştırma’, ‘yerinden etme’, ‘değer arttırma’ gibi kentsel operasyonlardan kendini koruyabilmiş, ‘yavaş’ dönüşüm yaşayan, otantik varoluşunu, dokusunu, karakterini koruyarak gelişen, Istanbul’ da kalan belki de tek boğaz köyü. “Bunu nasıl başarıyor?” sorusunu sorarsak, bunun iki tane temel yanıtı var. Birincisi İstanbul’ daki topoğrafik konumu: bir yanda Fethipaşa korusu, diğer yanda Nakkaşbaba mezarlığı arasında bir vadiye yerleşen köy, Bağlarbaşı tarafında arka uçtaki kentsel gelişmeden kısmen kendini topoğrafik sınırlarla yalıtabilmiştir. Bu sınırlar içindeki fiziksel-karakteristik dokusu ‘sit alanı’ kapsamında da korununca; yıkılmadan yenilenerek varolmayı zorunlu kılan alçak katlı, eski eser ağırlıklı bir doku olarak konumunu sürdürebiliyor. İkincisi bu doku sayesinde 1980’lerden başlayarak ciddi bir entelektüel göç alarak buradaki doku hem yenileniyor hem de yaşayanlar anlamında yeni komşuluk ilişkileri üretiyor. Bu entelektüel göç, gün geçtikçe artmasına rağmen hızlı bir dönüşümle değil; müzakere, karşılaşma, kabullenme, karşılıklı birbirinin varlığını kabul ederek ilerleyen bir süreçle gerçekleşiyor. Bu nedenle neo-liberal ekonomilerle üretilen hızlı kentsel dönüşümlerde olduğu gibi alt-ekonomiyi, ekonomik dengesizlikleri, komşuluk ilişkilerini ortadan kaldıran, bölgeler arası ekonomik göstergeleri uçlara taşıyan ayrışmalar burada gözlemlenmiyor. Onun bu koşullarda İstanbul gibi hızlı dönüşümün yaşandığı bir kentte kendi kimliğini koruyarak ağır evrimleşmesi; bir taraftan kentleşme ile kaybedilen pek çok olgunun hala varolabildiği bir yaşam alanını temsil etmesini sağlıyor, diğer taraftan da onun bu kimliğini gözler önüne sunan Tv dizileri, reklamlar, sayesinde de bir turistik cazibe merkezi haline geliyor. Bostan ise bu kentsel doku içinde kalan, son yeşil boşluk olarak hem yerel yönetimler, hem de ekonomik iktidarların İstanbul’un hızlı kentsel dönüşümünün Kuzguncuk’ taki anahtarı olarak her 10 yılda bir gündeme taşınıyor. Bostan olarak korunması gerekli bu alan; İmar Planlarında 1980’lerin ikinci yarısında yapılan oynamalar sonucu bunlara karşı açılan davalar gibi hukuki düzlemlerde de verilen savaşlarla, 1990’ da ve 2000’ de buradaki bilinçli yerel oluşumlar sayesinde korunabilmiş ve 2010’da tekrar bu alan üzerindeki planlar gündeme gelmiştir. Mülkiyet hakkını elinde tutan Vakıflar Genel Müdürlüğü tarafından bu alana bir proje hazırlatılarak, hayata geçmesi için bir girişimde bulunulmuştur. BostanA Alternatif Proje Girişimi ise, bu projeye alternatif olarak, alanın hem kullanımını hem de kullanım potansiyellerini alanın karakteri bozulmadan nasıl sürdürebileceğini göstermek amacı ile başlatılmıştır. Katılımcı bir süreçle geliştirilmeye başlanan bu çalışma, bir taraftan Bostan’ ın süregiden yaşantısını katılımlarla zenginleştirerek teorik bir egzersizden çok, pratik uygulamaya dair yeni üretim olanaklarını ve ekonomi modellerini ortaya koymaya çalışmaktadır. 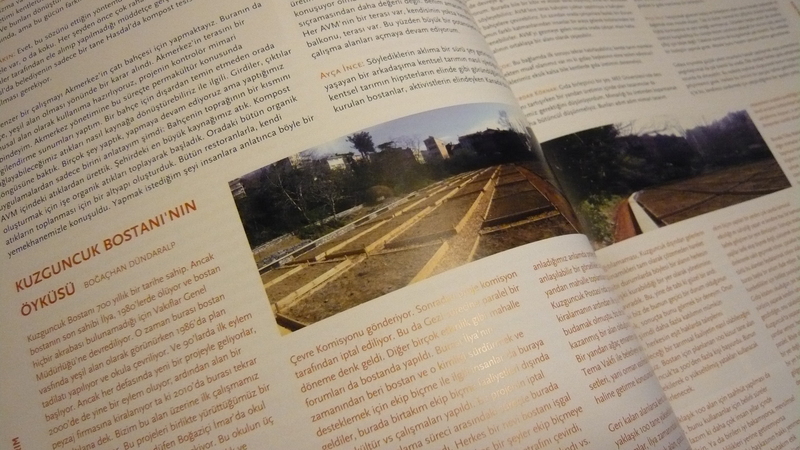 Kent platformunda, kimliğini koruyarak açığa çıkaracağı kamusal kullanımlarla hem Kuzguncuk’ a hem de İstanbul’ a yeni kentsel kullanımlar sunabilecek; ortaya koyduğu ekonomik model ile bir kent parçasının ‘değer’ ine ilişkin yeni bir öneri sunabilecektir. Mimarların sosyal bir aktör (katalizör) ve mimarlığın bir iletişim aracı olduğu bu çalışma ile; alternatif olunan projenin hem yapısal durumuna hem de kentteki bir alanın ‘değer’ine ilişkin bugünün kent politikaları, kentleşme modelleri üzerinden yeni bir müzakere alanı açılarak, bu alana ilişkin yaklaşımların ‘tek bir model’ üzerinden yapılamayacağı gösterilmeye çalışılmaktadır. ‘Mülkiyet hakkı’ ndan çok ‘kullanım hakkı’ na odaklanan bu çalışma, tarafları yeni bir müzakere alanına taşıyarak, Bostan’ ın sahip olduğu değerleri kaybetmeden yaşatılabileceği alternatif modeller üretmeye zorlayabilirse görevini başarı ile yapabilmiş olacaktır. Bu çaba ile Kuzguncuk ittifakı, Bostan’ ın sahip olduğu değerleri kaybetmeden yaşatılabileceği alternatif modellerin de mümkün olabileceğini ve bu yönde ortak bir çaba içine girebileceklerini gösterdi. Tüm proje onay süreçlerini takip ederek, kurumlarla iletişimini kaybetmeden sürekli tetikte ve proje ile ilgili gelişmeleri izledi. 28.06.2012’de Kültür Ve Turizm Bakanlığı, İstanbul 6 Numaralı Kültür Varlıklarını Koruma Bölge Kurulu, Kuzguncuk bostanında yapılmak istenen özel ilköğretim tesis alanı yapılaşma başvurusunu; programı ve yapı kütlesi nedeni ile Kuzguncuk mimari dokusuna uyumlu olmaması gerekçesiyle uygun olmadığına, ayrıca parsel içinde tespit edilen bostan havuzunun korunması gerekli kültür varlığı olarak tescil edilerek koruma grubunun 2.grup olarak belirlenmesine karar verdi. Bundan sonraki süreçte bostanın Kuzguncuk için önemini ve değerini görünür kılacak en iyi durum; buranın yaşamaya devam etmesi ve Kuzguncuklular’ın bu alan içindeki paylaşımlarının olanaklarının artması olacaktır. Hamburg Güzel Sanatlar Üniversitesinde Deneysel Tasarım profesörü ve adhokrasi sergisi tasarımcısı Jesko Fezer ve öğrencilerinin 30 Ekim-3 Kasım 2012’de 1. İstanbul Tasarım Bienali çerçevesinde gerçekleştirdikleri “Kamusal Destekli Tasarım Atölyesi” olmuştur. Bu bir haftalık süreç içinde, Bostanda bir hafta sonu etkinliğine dönüşecek bir dizi geçici müdahalenin üretildiği; birleştirici ve motive edici bir çalışma deneyimledik. Oyun alanları (futbol alanı, tribün, salıncak, tavla), çay ocağı, piknik alanı… gibi basit düzenlemeler ardında tetikleyici ve merak uyandırıcı pek çok duygulanımı peşinden üretti. Bilgi Üniversitesi Tasarım Bölümünden Meriç Kara ve öğrencileri, Kuzguncuk İlkokulu öğrencileri bu çalışmalara doğrudan katkı üretirken; yerel mimarlar, Kuzguncuklular ve Kuzguncuk Muhtarı bu çalışmalara destek verdiler. Kollektif üretimlerin kendilerine ait zamansallığı, bilgi üretimi ve yayılımı vardır. Bu çalışma; doğrudan yapmaya yönelik fiziksel karşılaşma ve yakınlaşma, ortak deneyim ve işbirliğinin yarattığı güven ile ‘ortak müzakerelerin’ , ‘ortak duygulalanımlar’ın başka hiçbir şeyin sağlamadığı kendine özgü bilgi üretimi ve yayma, paylaşma imkanı olduğunu bize yeniden göstermesi anlamında çok kıymetli. Bu süreçte ancak toplumsal, çevresel ihtiyaç ve tehlike söz konusu olduğunda ortaya çıkan duygulanımların ve çabaların; gündelik hayat içinde sürdürülebilmesinin önemini açığa çıkartan bir deneyim yaşadık. Bu ortamların ortak duygulanımların eğitimi, deneyimi kadar karşılıklı olarak deneyim yaratmak,ortak karar ve müzakere süreçleri yoluyla toplumsal ve demokratik ortamlar üretme açısından da ne denli önemli bir kaynak olduğunu da unutmamak lazım. Tasarımcıyı içinde bulunduğu ortamı ‘estetize’ etmekten başka bir çare ya da rol bırakmayan güncel eğilimlerin karşısında durmaya çalışan bir mimar olarak, bir ‘Kuzguncuklu’ olarak; kendi mücadelemiz içinde bu deneyimi üretme ve yaşama imkanı sağlayan başta Jesko Fezer ve öğrencilerine, Adhokrasi sergisi küratörü Joseph Grima’ya, çalışmayı Kuzguncuk’a taşımamızı sağlayan yardımcı küratör Pelin Tan’a, bu süreçte yer alan ve katkı sağlayan herkese çok teşekkür ederiz. Kuzguncuk is perhaps Istanbul’s sole village to have survived along the Bosphorus. It has succeeded in defending itself against the intensive rise in construction, the rapid transformation in traffic and various urbanistic operations choking thecity. These urbanistic operations, are conducted under the motto of “urban transformation” to impose gentrification in various parts of Istanbul at the cost of displacing former inhabitants and for the sake of so-called “added value”. Kuzguncuk has been able to keep itself astride from all this, experiencing its own slow transformation and evolving within its own authentic life style, maintaining its fabric and character. “How does it do it?” one might ask. There are two basic answers to this question. The first has to do with its topographical situation in Istanbul: Kuzguncuk is a village nestled in a valley which is bordered by the Fethi Pasha Woods on one side and the Nakkashbaba cemetery on the other. It has been able to protect itself from the concrete jungle of the Baglarbasi disrict to its east, thanks to its own topographical borders. Having been declared a protected site, its physical and characteristic fabric within these borders has aslo been preserved. Its fabric is composed mainly of ancient buildings, not more than a few storeys high, which cannot be pulled down and have to be renovated. Secondly, thanks to this fabric, Kuzguncuk became prized by intellectuals who began settling there from the 1980s on. This led to the renewing of the existing fabric and to new neighbourly relations. This intellectual immigration, increasing day by day, has not however led to a rapid transformation but is rather evolving in a process of negotiation, encounter, acceptance of one another between the old and new inhabitants. This is why the economic imbalances, the disappearance of neighbourly relations, the extreme disparity in economic indicators between regions, all characteristic of rapid urban transformation projects developed by neo-liberal economies, are not to be found here. Evolving at its own pace while maintaining its identity in an Istanbul undergoing rapid change, allows Kuzguncuk to flag up a life style which has been sacrificed to urbanisation elsewhere. This very setting, found so attractive by TV serials and advertisements, also adds to its becoming a centre of attraction for tourism. 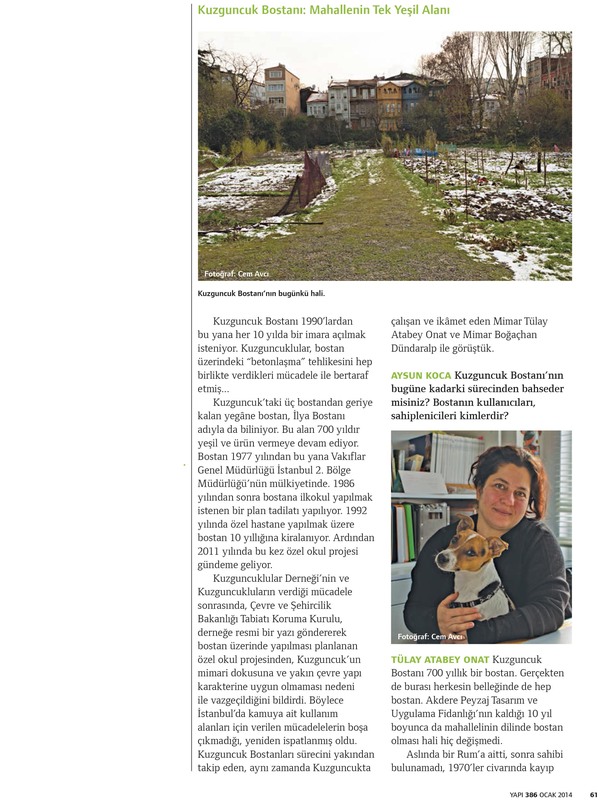 Bostan, the kitchen garden,being the lastpatch of vacant green in the midst of this urban fabric is coveted every ten years by both local administrations and economy magnates as the key to Kuzguncuk’s rapid urban transformation. This land which needs to be protected as a kitchengarden, had been subject to assault by tampering on the city’s Master Plan in the late 1980s. This assault was countered by a legal struggle launched by the conscientious locals who succeeded in gaining the law suits they brought against two such attempts in 1990 and 2000. In 2010 this coveted piece of land was once again threatened by a new attempt .The Directorate General for Foundations, who is at present in possesion of the title deed for this property, commissioned a project* and has made a move to implement it. The Alternative Project Initiative BostanA was launched as an alternative to the previous project with the aim of showing how the Bostan can be potentially used and sustained without harming its original character. Encouraging a participatory perspective from the onset, the alternative project is less a the oretical exercise than an attempt to diversify and enrich the Bostan’s present life through practical measures allowing for new modes of production and economic models. The Project proposes to reveal how a given space can be put to public use while preserving its identity at the urban level, how it can offer new urbanistic uses not only to Kuzguncuk but to Istanbul at large. With the economic model it proposes, the Project also puts forward a new perspective on the “value” of an urban space. 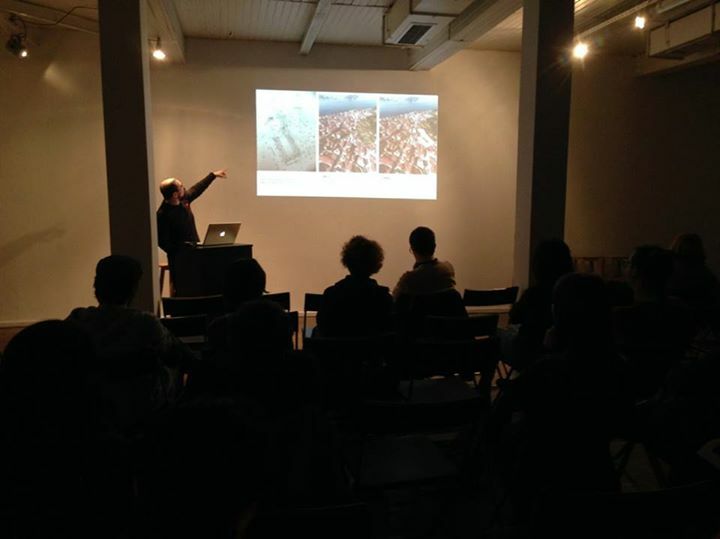 Bearing in mind that architects are social actors and that architecture is a mode of communication, the Project aims to open a new debate on existing urban policies and urbanisation models by contesting the structural aspects of the previous projects as well as the “value” attributed to a space in the city. In so doing, the Project attempts to show that a “single model” approach cannot be imposed on this space. Focusing on the “right to use” rather than the “right to property”, the Project will deem itself successful if it contributes to drawing the concerned parties to a new platform for negotiation and instigates the development of alternative models allowing the Bostan to maintain its existence without losing its values. 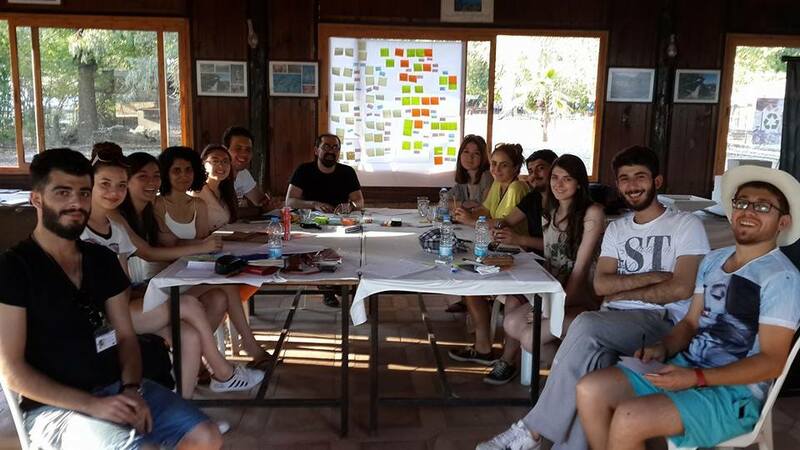 The best scenario for Kuzguncuk, in the future, is to increase the possibilities for sharing in this neighbourhood and to keep it alive – a scenario, which would highlight the importance and value of the orchard for Kuzguncuk. 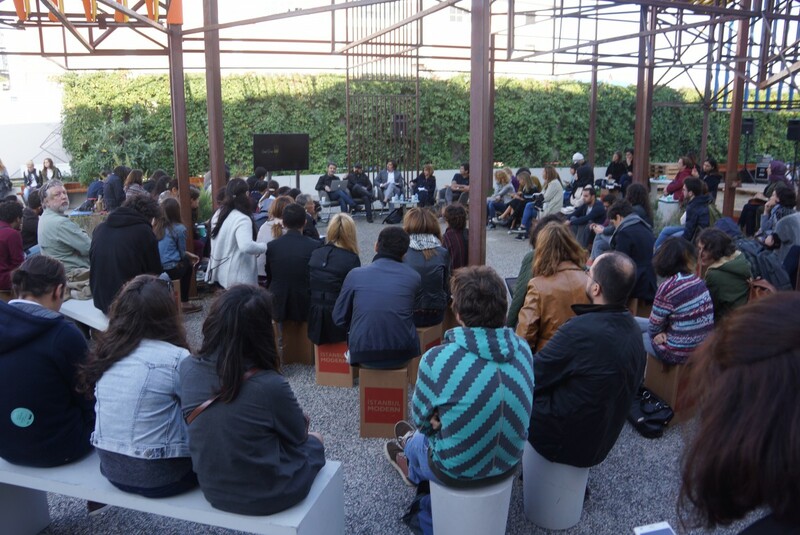 The “Public-supported Design Workshop” realized by Jesko Fezer (a professor of Experimental Design at Hamburg University of Fine Arts and a designer at the adhocracy exhibition) and his students at the 1st Istanbul Design Biennial between 30 October and 3 November 2012. During this weeklong period, we experienced a cohesive and motivating project around a series of ad-hoc interventions that turned into a weekend event in the orchard. Simple arrangements like playgrounds (a football field, a grandstand, a swing, backgammon), tea garden and a picnic ground produced catalysing sensations that evocated curiosity. 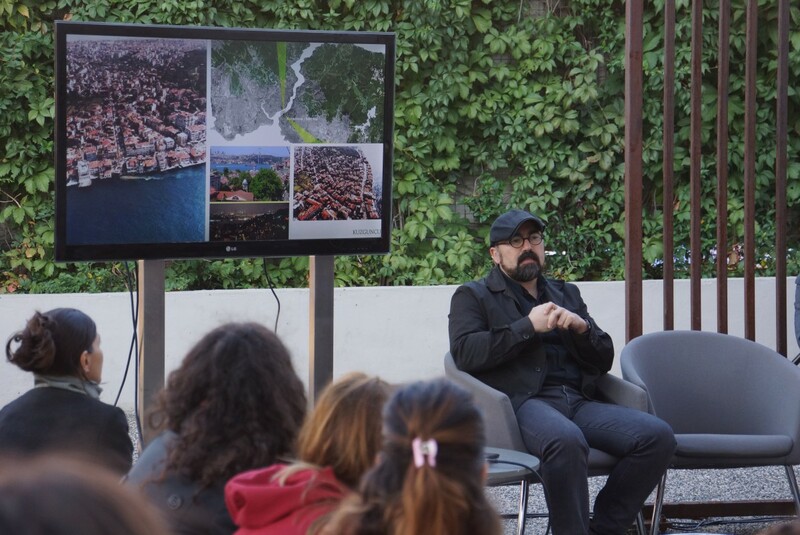 While Meric Kara from Bilgi University Department of Design and his students and the students at Kuzguncuk Primary School were directly involved in this event, local architects, Kuzguncuk residents and neighbourhood administrator (muhtar) provided support. Collective production contains a unique temporality, knowledge production and dissemination processes. This work is invaluable since it shows us the fact that physical encounters and rapprochements that aim at direct production, trust that emerges from common experience and collaboration, “common negotiations” and “common sensations” provide an opportunity for a unique kind of knowledge production, dissemination and sharing. In this process, we experienced a process that revealed the value of keeping the sensations that emerge from social and environmental needs and threats alive in our daily lives. As much as experiencing and being educated by these contexts and sentiments, we have to create mutual experiences and remember the fact that they are a very important source in terms of producing social and democratic contexts through common decision and negotiation processes. As an architect that tries to resist contemporary trends that limit the role of the designer to a mere “aestheticization” of her environment, and as a Kuzguncuk resident, I want to thank Jesko Frezer and his students, Adhocracy exhibition curator Joseph Grima, and the associate curator Pelin Tan, who helped us carry this project to Kuzguncuk, and all others who participated and contributed in this process and helped us produce and keep this experience alive. You are currently viewing the search results for bostan.